In the fields that flank the Route du Sorcier between Les Eyzies and Le Bugue, the tobacco harvest is well underway. I doubt that Nicotiana has many years left as a crop - for obvious reasons - but once it was big business here, possibly the biggest. 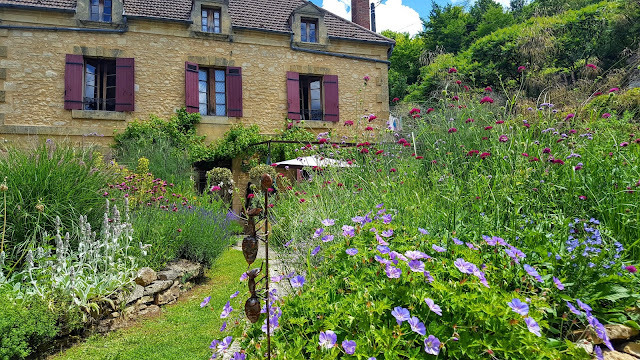 Such was its importance to this area, there is even a museum in Bergerac dedicated to the 'weed', but note, as in common with all public places in France, no smoking allowed inside! I found this photo (courtesy of Panoramio) of one of the many paintings inside the museum. Dating back to the 19th century and it's plain to see; ahh to smoke, what a spiffy chap it makes. 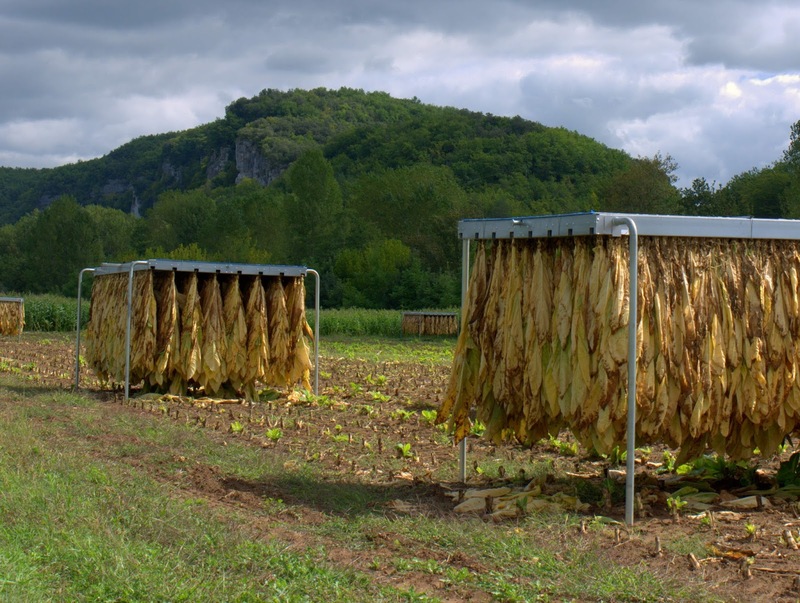 I dare say that scenes such as above, tobacco hung to dry, was a much more prevalent part of the landscape. Tobacco's not so rare with me. Nicotiana sylvestris, which I grow on a 'corner' down by the river, comes alive as daylight slips into dusk. Being moth pollinated it's evening scented too. Self seeded into a crack in the terrace below, the pink of what has to be a seedling from nicotiana mutablis is nigh on perfect. It first appeared last year and so I left it. It has volunteered again this year, so again, I'll leave it. As a kid, I rode the mule through the tobacco fields while my relatives pulled tobacco here in North Carolina, got up early to check the furnaces on the tobacco barns. I've never smoked, so I'm glad the laws in France (and here in the US) don't allow indoor smoking in public areas. I like the ornamental nicotiana, but the plants never do well for me for very long in the season. Your tall white variety is stunning in the photo. We're back from two weeks in Paris. The dahlias at Jardin des Plantes were amazing! The no smoking bit was my little joke as the museum is dedicated to smoking! I read your dahlia post. The French have long had a love affair with them. I hope (am sure) you had just the best time in Paris - despite the weather. We've had some of the grimmest September weather down here also. I felt sorry for my guests. An interesting post Rob. 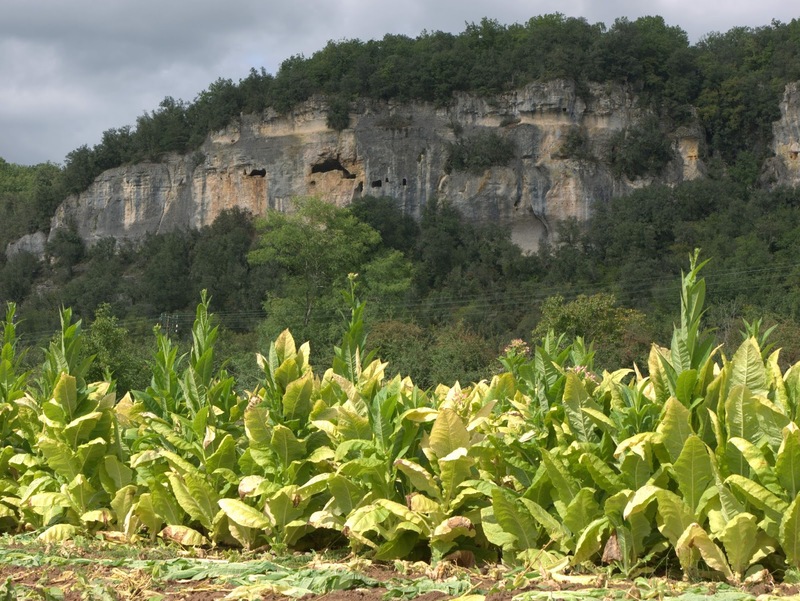 Did not realise that there was a tobacco growing industry in France. 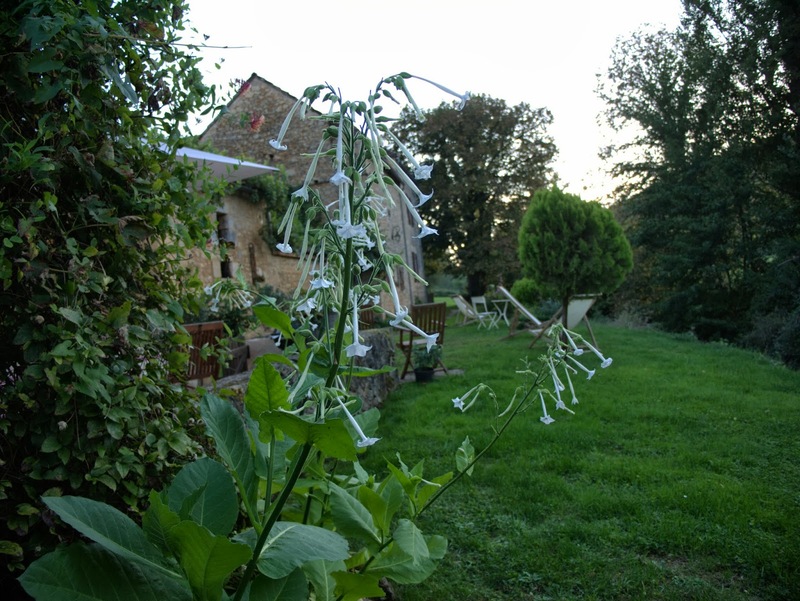 I gave up the evil weed many years ago but when I was smoking I sadly never stopped to think about the process before the packet :( Your nicotiana sylvestris looks a tall specimen. September has been grim here too but the most beautiful start to autumn yesterday. I quit some years ago. Bloody difficult. The n.sylvestris is about four feet tall although it's taken forever to get there. Everything has been slow this year. September has turned a corner here also. We're forecast to be 31C by Friday. BBQ weather. Recently I visited some gardens here in the US and came across nicotina flowers -- they smell heavenly. I am going to get some. 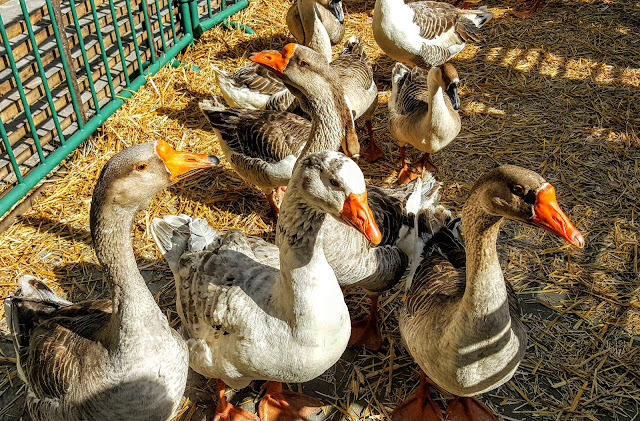 Lucky that they are voluntarily growing in your garden. 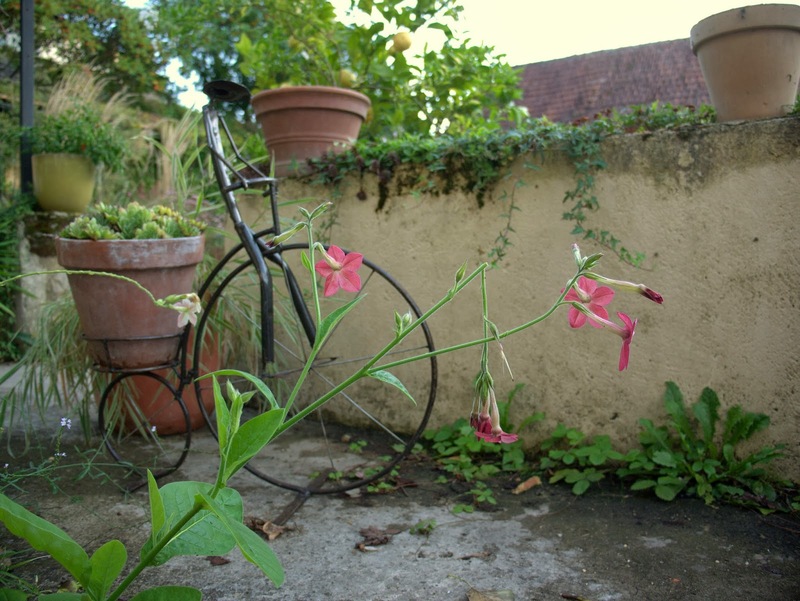 You can grow so many types of nicotiana from seed - usually pretty easily, so go for it. I was going to say--Nicotania as an ornamental is lovely! If I had more sun, I'd find a spot for it in my garden. 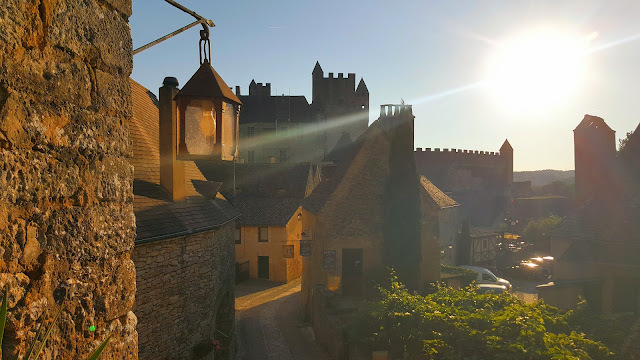 Lovely photos of your beautiful locale! Thanks. The n. sylvestris is also known as tobacco of the woods. It does better in a part shade environment so it may gow well for you.